It’s funny the things I catch myself doing recently. It’s like my brain has been taken hostage by travel ferries and I can’t control my thoughts and actions any more. 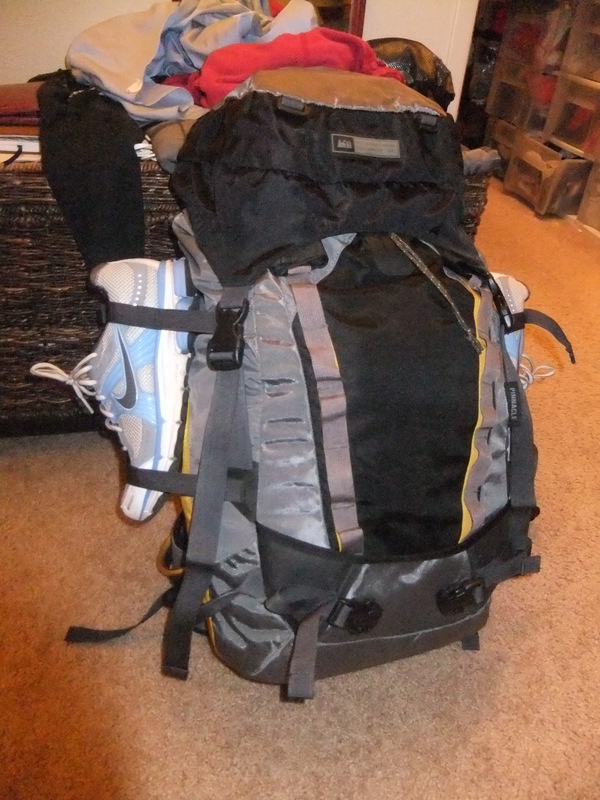 For example, this Sunday I found myself packing up my backpack. Again. I guess it’s useful to practice these type of things. To strategize if it’s better to put my tennis shoes along the bottom of the pack, or standing up vertically, one on each side. Wow, now that is a big life decision. 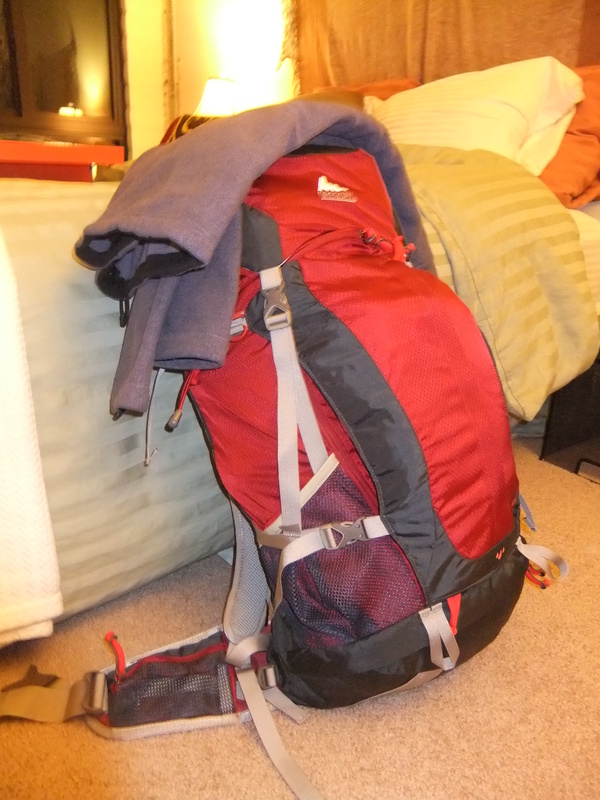 Pack Test #3 – this time my fleece didn’t fit inside…. Another oddity is my continual obsession with our budget. While attempting to relax and watch a movie this evening, I drifted off in my head for at least a half hour thinking about our budget. As if it matters?! We’ve already quit our jobs and are leaving town in three weeks. Obsessive googling of travel destinations for at least 2 hours per day is now the norm. With only 23 days left until departure, I have become crazed with hanging out with friends and family as much as possible, and doing everything “Denver” before we leave. Guess I should have been doing this all along, but no time like the present! Something funny that other people have been doing is saving and giving us boxes. “Hey Amy, I have some great boxes if you need some”…as if they’re precious jems or something. Don’t get me wrong, I do appreciate it, it’s just, well, funny. 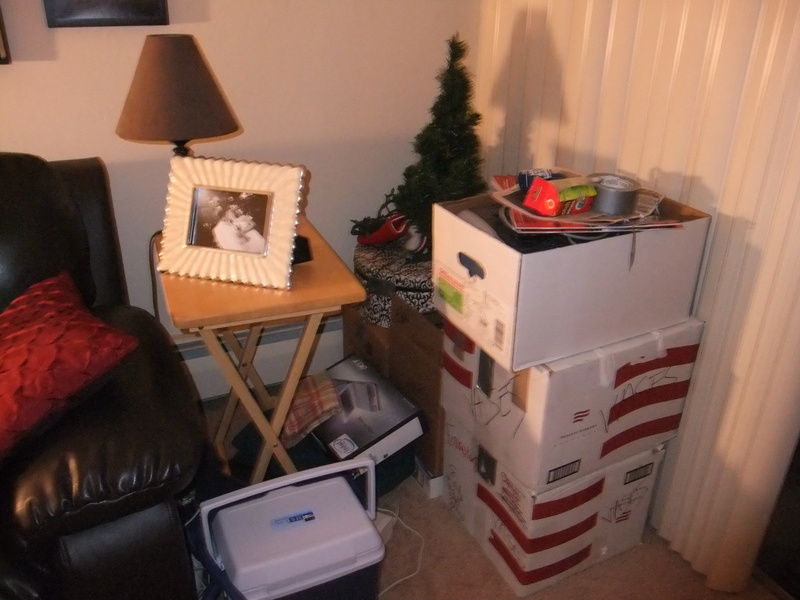 As a result of the box giving, we started packing up our apartment. All sorts of weird stuff is coming out of the woodwork. We are also donating (and re-gifting) a lot of stuff we just don’t need anymore. Our fake Christmas tree is probably better in someone else’s hands. We both caught the travel bug early in life. No, not the bug you get while traveling that makes you hug the toilet for days on end…although we’ve had that too…the travel bug that creates an insatiable feeling of needing to go new places, see new things, experience new cultures, meet new people, try new food. After studying abroad during college (Mike in Chile and Amy in Denmark), we both realized the need to see the world. And thus a dream was born, to travel the world for an extended period of time. Setting a goal is easy enough, but sticking with it can be a challenge. How do you stay motivated to reach your dreams? 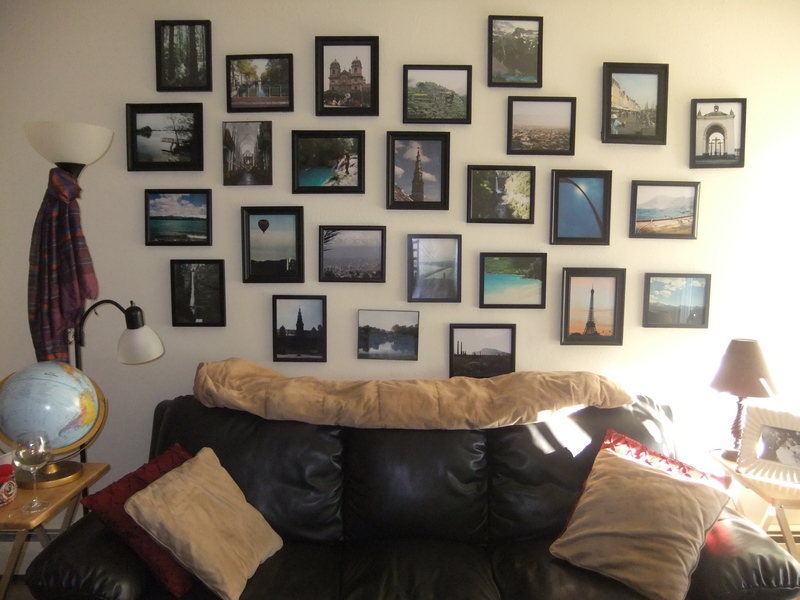 We created a picture wall in our living room to remind us of our love for travel and keep us motivated to reaching our goal of traveling the world. Well, ok, let’s be real, the picture wall really evolved because we needed a cheap way to decorate the stark white walls in our apartment. Not bad, huh? In addition to being a fun piece of art and conversation piece, the picture wall truly has served as a motivator for our travels. We can look at a photo of one of our past trips and remember the people we met, the lessons we learned, the new thing or food we tried. All 26 of these photos represent something different, but together they make up the story of how The Chamborres Expedition was born. Here are a few stories of the photos on our picture wall…We can’t even imagine the pictures and tales we’ll have a year from now. During our honeymoon in Jamaica, we met an awesome rasta named Billy who showed us around for a day. 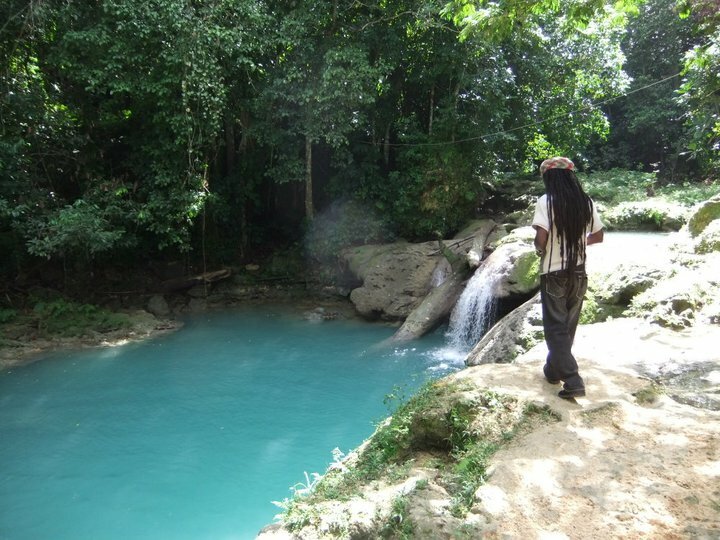 The Blue Hole was one of our many stops that day. Good people. Rope swinging into beautiful water. Everyting irie. We went to Denmark in June 2011 for Amy’s host parents’ silver anniversary party. We highly recommend attending such an event if you have the opportunity – the Danes know how to party! 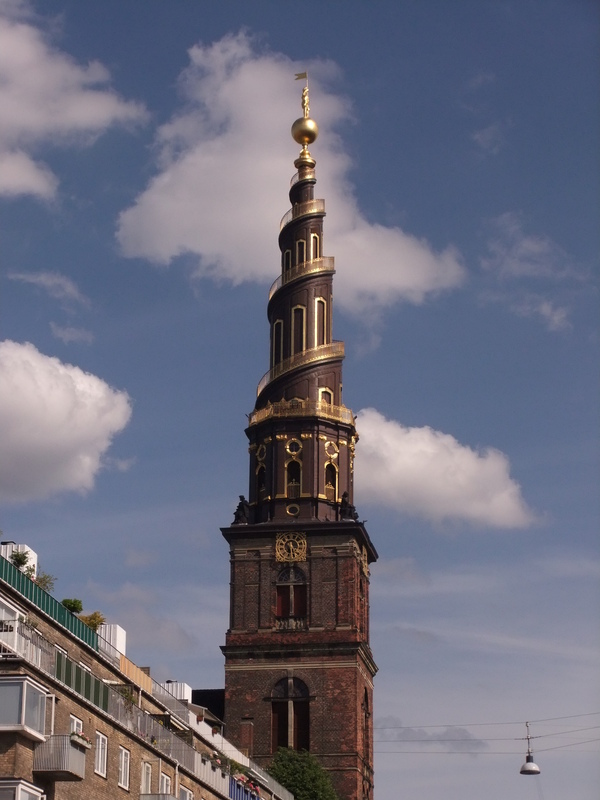 While sightseeing in Copenhagen, we climbed to the top of Von Frelser Kirke, overcoming our uneasiness with heights to see the amazing views of Copenhagen and the Øresund Bridge to Sweden. 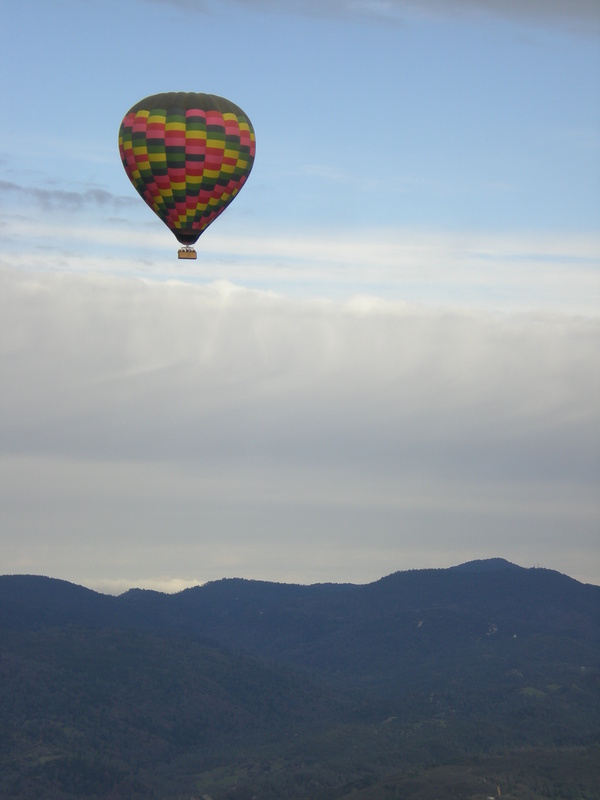 While Mike was living in San Jose, CA for a year in 2008, we took a week long vacation to Sonoma/Napa, where we actually ended up getting engaged:) We were feeling a little queasy on the drive to the hot air balloon launch site from celebrating a little too much the night before, but once we were in the air, all other feelings subsided and we were left in awe. What a peaceful and mesmerizing sport. 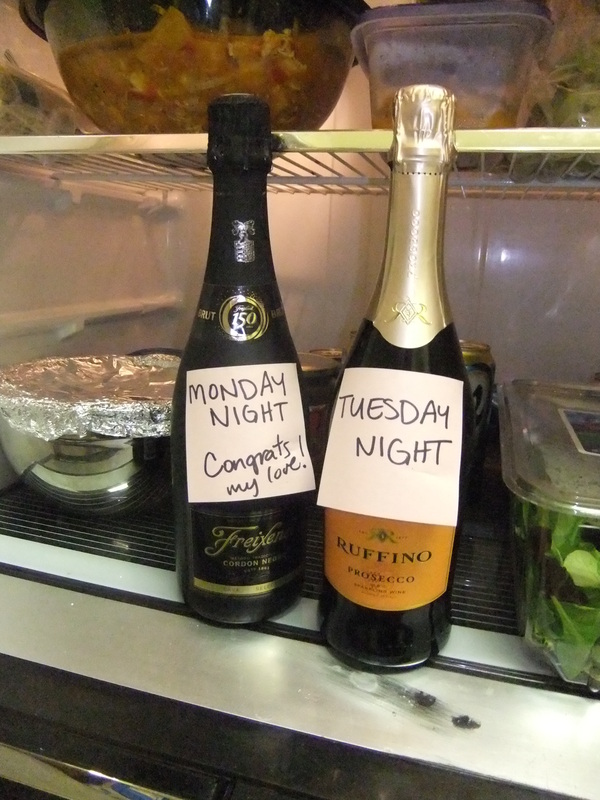 Some people really dislike the idea of growing older; others treat their birthday like it’s a world-wide holiday. Either way the fact remains that another year has gone by. We fall somewhere in the middle, but November is always a fun month for us because we both get to celebrate our birthdays and then head right into the holiday season. But this year, having our “special days” amidst the final stages of our pre-trip preparations definitely brought a unique feeling. However you answer that question when your birthday comes around, we hope the answer is doing something that makes you happy with people you really love. With only a month left in Denver, there is a lot going through our heads, a lot of anticipation, and a ton of excitement! Each of us have different feelings about our impending trip around the world, different apprehensions, various things that we’re looking forward to, so here is a taste of what is going on in the brains of Mike and Amy. We wrote them separately so you will be just as surprised to read them as we were each others. Spending a whole entire year with Mike! What am I most excited about? Almost a ridiculous question considering the journey in front of us, but I’ll give it a shot…. Spain (I love all things pig) and Spain is the homeland. I only speak 2 languages. There are hundreds if not thousands spoken in this world. There might be such a thing as too much free time. Filling it on a budget could be a challenge. Safety is always a concern when exploring the unknown. Round the World (RTW) trips can take many forms. Deeper pocks=more luxurious accommodations. If you’ve read our aspirations for this trip on our About Us page, you know that our plan is to simplify our lives and connect with new cultures (i.e. backpacking, hostel living, meals from grocery stores=cheaper travel). Many people have asked us “how can you finance a trip like that? 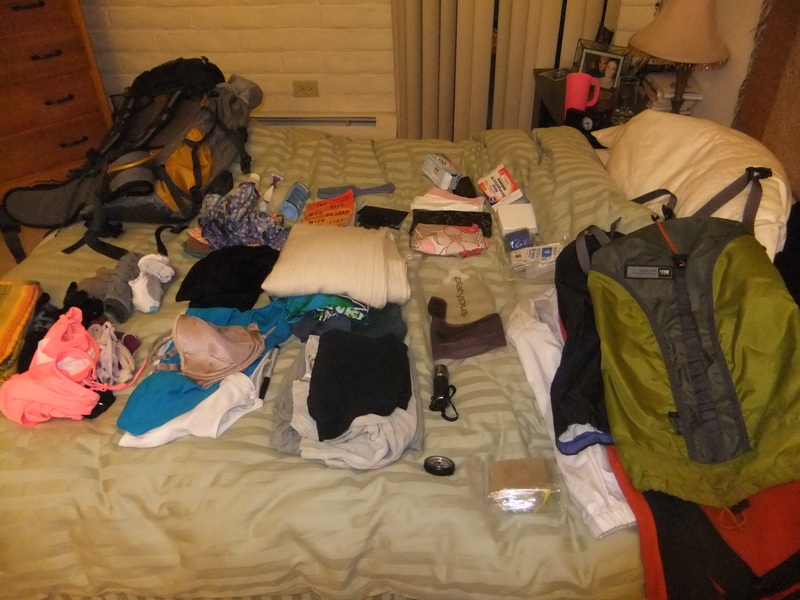 !” so we thought we’d share some details on how we’ve managed to budget for this RTW trip and our anticipated costs during the trip. We won’t know exactly how much a RTW trip costs until we’re actually on the road and then back home again, so we’ll share what we’ve learned after the trip is over:) Here are somethings you’ll definitely need to take into account if you go on a trip around the world. We hope this helps anyone who aspires to take a trip around the world. Bottom line is that the cost of a RTW trip depends on a lot of things – where you plan to go, how often you move, solo vs. companion traveling, type of housing accommodations, health needs, comfort level…the list goes on. Feel free to contact us with any questions!